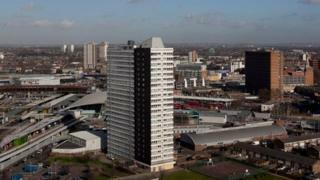 A plan to build a university campus near the Olympic Park, in east London, has fallen through. Newham Council and University College London (UCL) have been in talks to develop a site at the Carpenters Estate, in Stratford, since October. Both parties said they were still keen for UCL to build a campus somewhere in Stratford. Carpenters Against Regeneration Plans (Carp) said it was a "victory" but residents still faced "uncertainty". The campaign group's chairman Osita Madu said: "I see it as a victory. The council wanted UCL to come to the area and displace residents - some have been living here for more than 50 years. "It is a relief but we are now faced with uncertainty over what the alternatives will be. "There is an intention to get a developer to come in and railroad residents out." UCL president Professor Malcolm Grant said: "Regrettably, UCL and [Newham Council] have not been able to bring their discussions to a successful conclusion in relation to the Carpenters Estate. "This was an ambitious but extremely complex proposal and the process of intensive and lengthy examination has led us both to conclude that we cannot reach a commercial agreement. "However, the process has re-affirmed the commitment of both parties to establishing a UCL presence in Stratford." A Newham Council spokesman said: "UCL is one of the world's leading universities. We are disappointed that we were unable to bring UCL to the Carpenters Estate. "The council remains supportive of UCL establishing a major presence in Stratford."